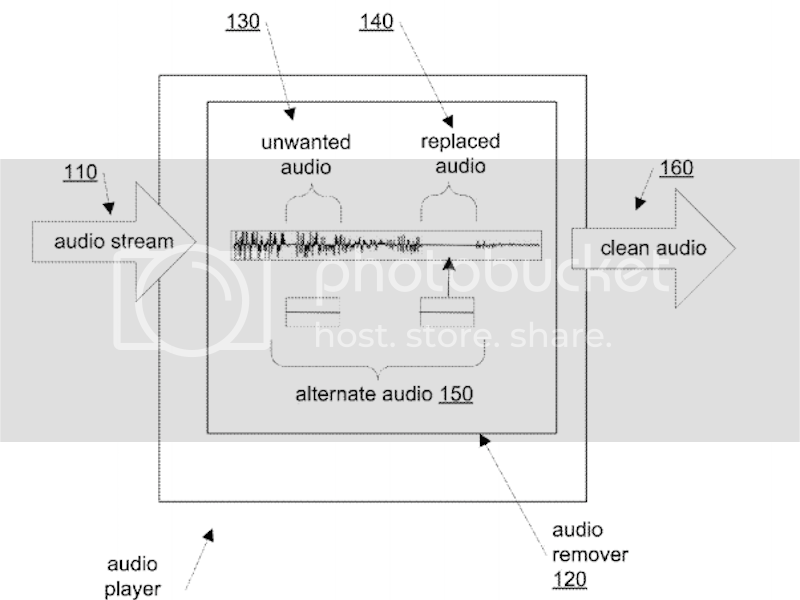 Apple is onto something and has applied for a patent on a technology that would allow them to censor audio streams during playback to remove "unwanted audio" within streams. Apple is onto something and has applied for a patent on a technology that would allow them to censor audio streams. Titled "Management, Replacement and Removal of Explicit Lyrics during Audio Playback," the application was filed in September 2014 and published on March 31, 2016 and states that metadata within an audio file could be used to remove certain unwanted audio like explicit words. The filing states that, "For example, the audio stream may be analyzed ahead of the actual playback and allow the audio player to apply a muting, silence, beep tone, or other censoring method to remove the unwanted audio."